This is a Process that begins with your Self Image of who you are, and how you think the King of Kings wants his BRIDE to be living. It is a State of Mind. Your Perception of your Reality. God has Promised to Supply all our needs, so what do you think you are worth? Your self worth is where your Faith level will be on how God is going to take care of you. 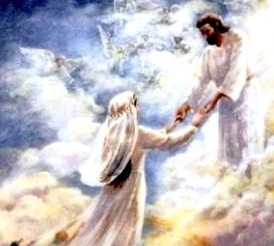 JESUS wants his BRIDE to have the Very, Very Best. Are you able to step up and receive that NOW? We can all mentally ascend to that, but living it out is another story? So we move from FAITH to FAITH. You start with what you can believe and CONFESS that you are Living as his BRIDE and it will begin to unfold according to your Faith. It is all by FAITH so you must STRETCH Your FAITH and ACT on his WORD. The enemy will certainly try to block you from Moving to Higher Ground in the Spirit, where you will be able to LIVE like a Real Women, when JESUS takes care of you. JESUS wants to take care of You/ This is what is so Weird. We are always trying to Provide and take care of our self, when JESUS wants to do this for us. We have to allow JESUS to take care of us/ This will of course take some time, as you evolve Spiritually and learn to receive More and More, from Heavenly Places in Christ JESUS, where his Storehouse is located. As your Image of who you are begins to Unfold and you see that you are to be REFLECTING more of his GLORY, then you will become MORE of the Women God has in Mind for you to be. You must get a NEW IMAGE of who you are becoming, so you have something your minds eye see's you are being TRANSFORMED into day by day. You must see yourself MATURING and MOVING on to HIGHER GROUND, Living a more FULFILLING LIFE, as JESUS becomes your HUSBAND , you will have a WHOLE NEW LIFE Living as a Women of God. Start this JOURNEY NOW/ stop looking at your present situation, and see yourself as his BRIDE, where your Going and who you are becoming. START TO MATURE and GROW, and MOVE ON WARD and UPWARD from this Point on. 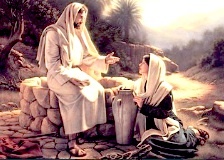 The BRIDE is a Kept Women, who simple lives to Glorify JESUS/ She is RESTING at his feet, with No cares, Waiting on him to direct her path as she looks to him for all she needs. Her Husband Lavishes on her Gifts and sends her Surprises just to delight her. Heavenly Delights from Heavenly Places. Here in is a Secret Place, of secret communicate/ There is only CONTENTMENT in his Presence. The BRIDAL CHAMBER is the Secret Place, where the BRIDE is RESTING, surrounded by the Gifts that just keep coming from the Bridegroom. I Retired with a Grand sum of $25,000/ In other words I had no retirement plan? 5 For thy Maker [is] thine husband; the LORD of hosts [is] his name; and thy Redeemer the Holy One of Israel; The God of the whole earth shall he be called. God gave me a WHOLE NEW profession at the age of 61/ After a year of not working, I finally realized I needed a Job/ I became a Care giver and it became an extension of my Ministry/ Plus I got Paid for it. It was a whole new way of Life/ being used by the LORD, and using my Gifts to help others daily/ I had the Gift of HELPS, and I was able to see clearly how to care and help others as the Lord open new doors of opportunity unto me to Bless all the works of my Hands. Each New Client was an assignment from the Holy Spirit. I worked as unto the Lord, knowing that it was all ordained by him ahead of time. I came to a moment where I had Had it with this Car/ and I was then able to PRAY a PRAYER of FAITH that opened up a way for God to Give me a Brand New Car. Phl 4:19 But my God shall supply all your need according to his riches in glory by Christ Jesus. I DUMPED the whole thing into his Lap, and said as my Husband you need to find away to get me a NEW CAR/ Thats what husbands do/ Right.? This Was a REAL ACT of FAITH/ I knew God had Promised me this, and I knew he was Able/ So I gave him the whole RESPONSIBILITY of caring it out. This PRAYER OF FAITH was so POWERFUL that it PROPELLED me into a New Dimension of FAITH/ where I was now Walking in the SPIRIT and the WORD was ALIVE and Manifesting SUPERNATURALLY in my Life . I could write a book about how this unfolded, as I was not even the only Person who received the Blessing that PRODUCED the NEW CAR. However the Car was not even the Real Blessing. The REAL BLESSING was seeing JESUS at work moving Heaven and Earth to Provide for me as he PROMISED. It was OVER WHELMING and Life Changing!! To know that JESUS was Truly being a Husband to me. Knowing he would always supply my needs according to his Riches, not mine. I had entered into a Real SUPERNATURAL place that was full of SURPRISES and Gifts from JESUS. There are no Words to convey this to you, since it is to Intimate. It is JESUS courting me/ I PURSUED him for years, and years and years, and Now he is PURSUING ME. Jhn 14:23 Jesus answered and said unto him, If a man love me, he will keep my words: and my Father will love him, and we will come unto him, and make our abode with him. The Promise of him making his Abode with us. Having this fellowship with him is Far better than anything this earthly life could every offer.